A fixture in San Diego since 1959, Mac Vitties Dance Studio offers personalized, private dance lessons in a fun, comfortable, and noncompetitive atmosphere. 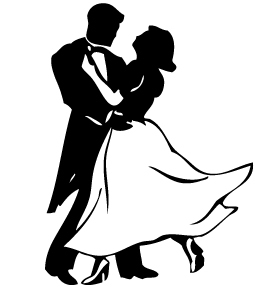 Our patient, friendly, and highly experienced ballroom dance instructors will teach you how to lead and follow a variety of smooth and rhythm dances, including the Foxtrot, Waltz, Rumba, Cha Cha, Merengue, Salsa, and Swing. This fun and relaxing activity may be enjoyed by individual adults and couples of all skill levels. Unlike most dance studios in San Diego, Mac Vitties teaches North American-style ballroom dance, a style well-suited to those San Diegans looking to dance socially and not competitively. Lessons are conducted in a charming dance studio with a waxed hardwood floor and mirrored walls. Because lessons are taught exclusively on a private basis, you’ll never be distracted by other instructors and their music, and you’ll never have to deal with the discomfort of dancing with or in front of strangers. You can even bring your own music! Located at the Dance Place at Liberty Station in Point Loma, just minutes from the beach and downtown San Diego, Mac Vitties Dance Studio is a convenient and affordable choice for those East County and Central San Diegans looking to build confidence and improve their dancing abilities. Mac Vitties Dance Studio was voted “Best in San Diego” by San Diego Magazine in 2009 and was named one of the best dance studios in San Diego by the San Diego Union-Tribune in 2010 and 2011. Recently, Mac Vitties Dance Studio received a letter from Second District San Diego County Supervisor Dianne Jacob thanking us for our contributions to the region. View the letter here! Because of its fun and relaxed atmosphere, Mac Vitties Dance Studio is ideal for those couples preparing for a wedding or a cruise. Gift certificates are also available. Call for more information: (619) 512-9051. Mac Vitties Dance Studio is located at Liberty Station in Point Loma.